The Flat Iron building was constructed in 1909 and demolished sixty years later in 1969. It was built in various architectural styles. The Flat Iron building was designed and constructed by S.P. Atkinson of the S.P. Atkinson Monument Building at 106 South Neil Street. Many of the features of the flat iron can be seen on the South Neil Street building. 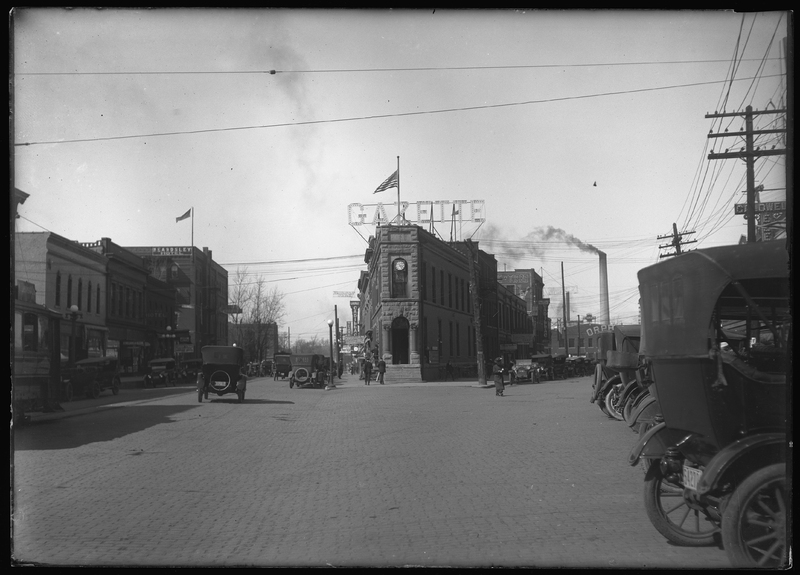 The Gazette building was often a gathering point for community events from War Bond rally’s or simulcast to Illini football games. When Memorial Stadium was dedicated on October 18, 1924 in what is now its most famous game, throngs of people from Champaign to Chicago gathered outside the flat iron to hear play by play of Red Grange’s five touchdowns over Michigan by a reporter from the second story window. Unfortunately, the pressure of parking was too much for the flat iron block. 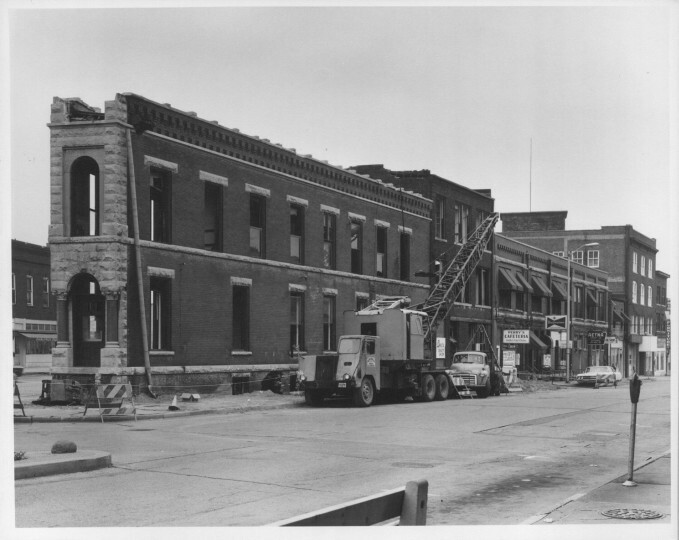 In 1969, a group of local business owners quietly purchased the block with the intention of tearing the buildings down for additional Sears & Roebuck parking. 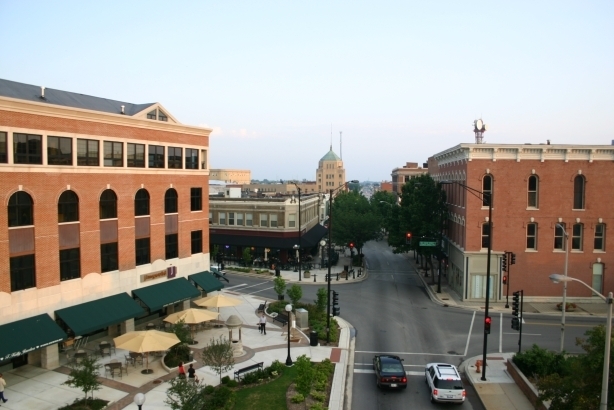 The entire block did come down, only to see Sears and many other department stores leave downtown seven years later for the newly opened Market Place Mall. 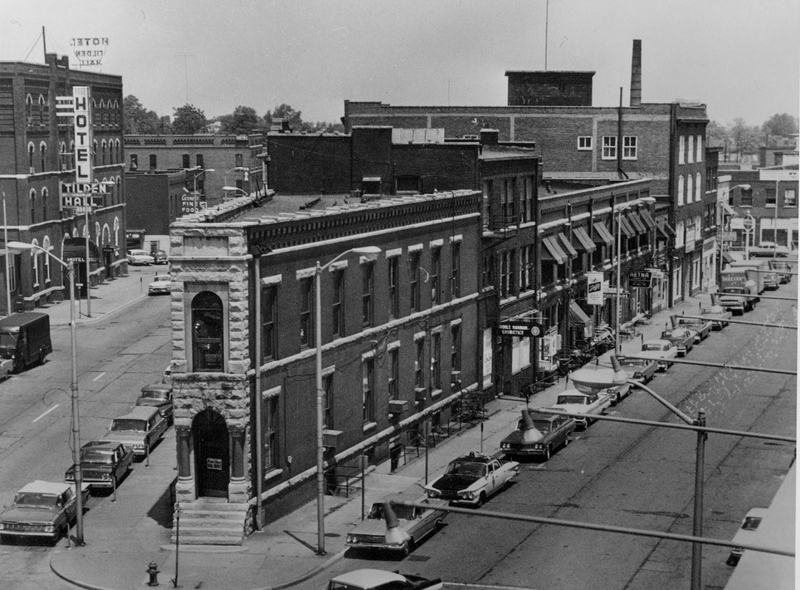 Original address: Hickory St. and Neil St. Current address: Main St. and Neil St. 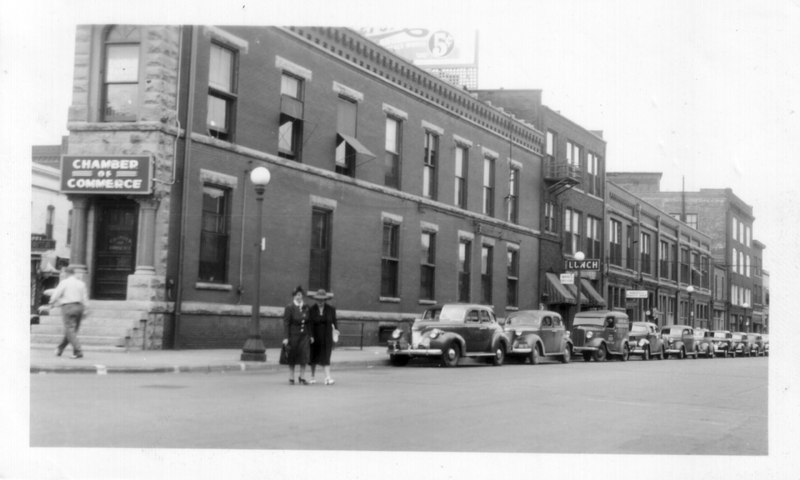 Previously, Hickory St. used to run through the parking lot on Neil St. to Main St. 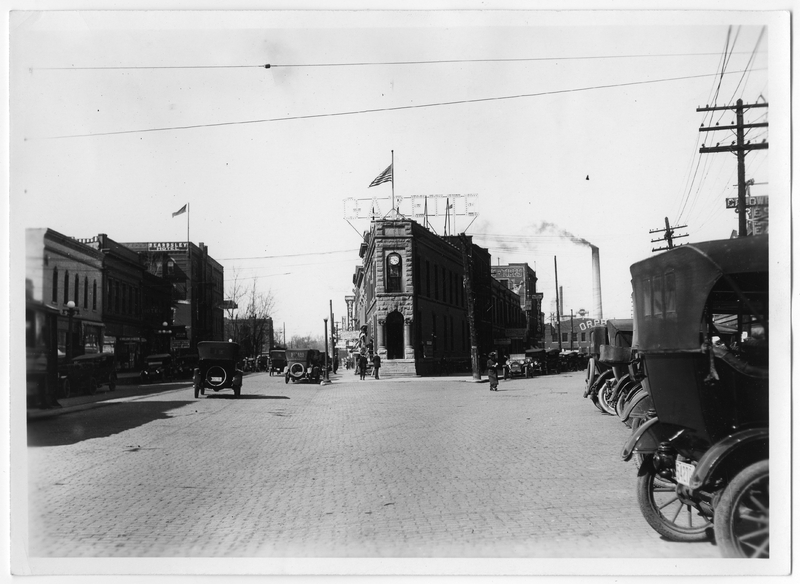 It was at this intersection of Hickory St. and Main St. that the Flat Iron Building stood. T.J. Blakeman, “Flat Iron Building,” ExploreCU, accessed April 22, 2019, https://explorecu.org/items/show/356.